Clean & Green Cleaning Service, LLC is committed to providing you with top quality cleaning services, while at the same time upholding the highest standards for environmentally friendly cleaning methods. We are pleased to provide residential and commercial cleaning services for homes, apartments and offices throughout central Connecticut. At Clean & Green, we pride ourselves in delivering dependable, reliable, consistent, eco-friendly services. Our reputation and word of mouth referrals are integral for our business; so in order to achieve this, it’s important that we manage a highly organized business that runs smoothly. We will provide you, in advance, with a detailed proposal that is customized to your cleaning needs. Then we make sure that you get everything that we promised you, at the price you have agreed to. Your job gets done quickly, efficiently, and above all… professionally. Clean & Green Cleaning Service, LLC is a fully insured and bonded company you can trust. 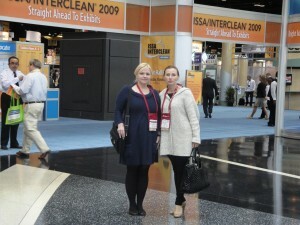 Clean & Green is proud be owned and operated by two Polish women with a strong work ethic since 1990. Our business is house cleaning, but our product is our people. We have great employees who take sincere pride in looking after the house cleaning needs of our clients. We look for very high standards in our team members, and only the best candidates are selected. We’re very proud when our clients tell us that our cleaning teams are unbeatable. Finding and keeping good help is a major challenge today – so all of our valued staff is treated like family, which creates a loyalty to both the company and also the clients they serve. Clean & Green began in 1990, and the company’s co-founders utilize their many years of experience (24 years and 17 years respectively) to provide top-notch services. Clients always have direct access to the cell phones of both co-owners to ensure excellent customer service. Always feel free to call or text, and we will be there for you to answer any questions or requests. Click here to contact us today and book your appointment for a complimentary estimate.